I’m a gel nail girl. I love to go and get my nails done. After a few months of wearing gel, I needed to give my nails a break. The gel really does a number on my nails. They start to pill and break like crazy. While I am giving them a break I like to still have color on them. The only problem is nail polish never last on my nails. One day and they are chipped. 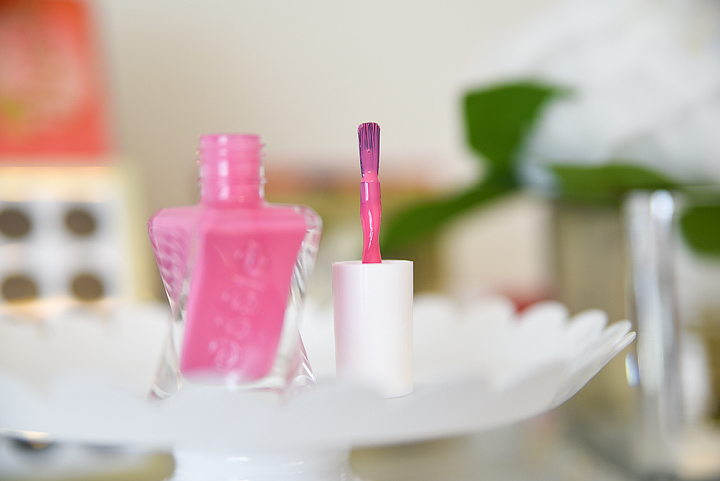 I picked this new Essie Ge Couture polish to give it a try. I got my polish at Ulta for $11.50. 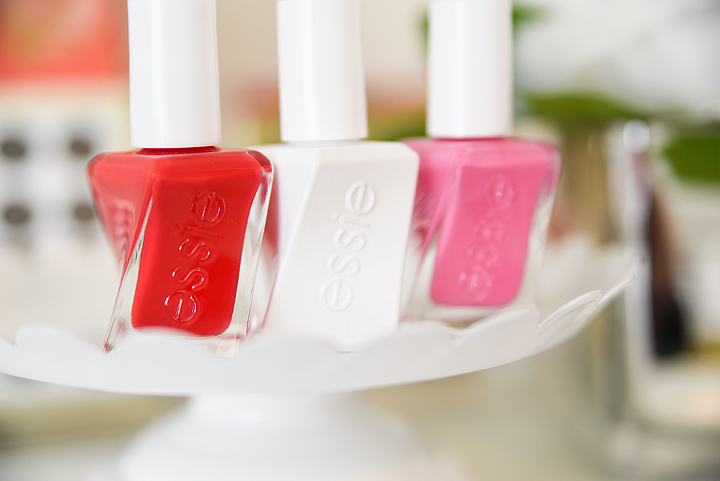 It is a bit more than the regular Essie polish. 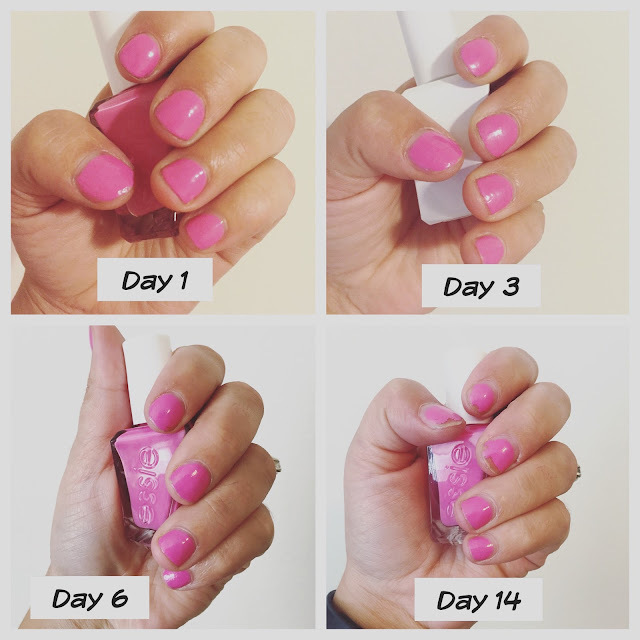 This claims to last 14 days and you don’t need a base coat with this two-step gel nail process, and it doesn’t have to be cured with a light. I do love the brush on this polish its wider and flatter than most brushes. It curves with your nail perfectly. My nails are horrendous right now. Here are my nails painted. With no base coat and two coats of paint and one coat of top coat. The color is called 240 Model Citizen. It’s a pretty pinkish purple. This is pictures from each day of my wear test. As you can see it doesn’t last the 14 days that it claims. It does wear really well. I find that it doesn’t chip off. It just wears off at the tips for the first 6 days. After that is when it starts to chip more. I really think for a plain nail polish it is really good. I will still get gel manicures from time to time. I will be buying this over any other nail polishes because it does last longer than any other nail polish on my nails. I also painted my daughter’s nails with this polish and it lasted about 5 days on her surprisingly. Nail polish does not last on her for a day. These polishes actually look like they held up pretty well. I might have to head back to Ulta and pick up some of these polishes because my nails are a hot mess right now! So pretty! I'll have to check these out. I rarely paint my nails because it always chips so quickly. I'd love to have something that lasted even beyond a few days! They look like they held up REALLY well! Your day 14 nails is what mine usually look like by day 2. Ha! I need to get some of these! I'm always skeptical of the "lasts 14 days but isn't shallac" polish. Thanks for letting us know how this held up! Such a pretty color. 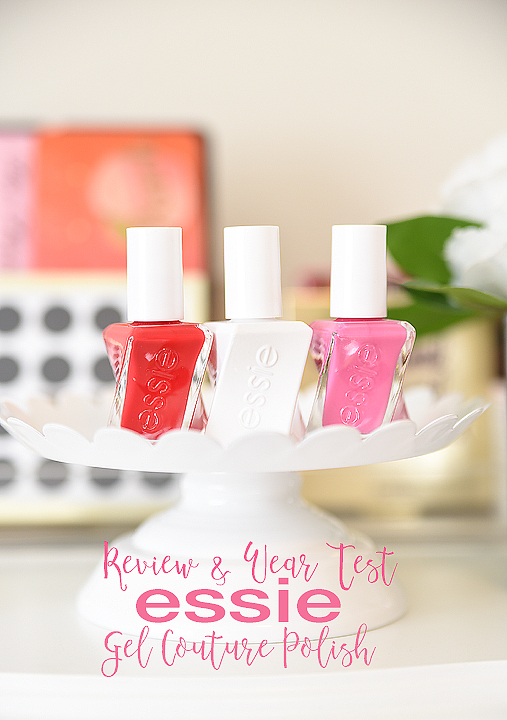 Thanks for sharing how they looked as the days went on – this seems to last longer than my regular polish.